The next Ed and Bob NIGHT OUT in Knox County is in South Knoxville! We return to Love That Bar B Q on Maryville Pike. Knox County At-Large Commissioners Ed Brantley & Bob Thomas will be at Love That Bar B Q, 1901 Maryville Pike, Wednesday, August 17th from 5p to 7p to meet the people of South Knox County and listen to their concerns. Ed and Bob feel that going out to the people eases the strain on those who, because of work, commitments, financial situation or the distance to the City-County Building, cannot attend regular commission meetings. All elected officials, media and public are welcome to attend. This is not a Commission meeting. There is no agenda. There will be no votes taken. But Ed and Bob invite you to join them for a smoked bologna sandwich or some other delicious item from Boss Hog's List of Vittles! Come on in and enjoy some of the best BBQ you have ever tasted and have a little conversation with Ed and Bob! A political forum on live Knoxville radio involving the four men running for a state House seat erupted into a physical confrontation Thursday evening when state Rep. Martin Daniel confronted former Rep. Steve Hall and pushed him, witnesses said. Daniel later acknowledged Thursday he'd "lost my cool" in the moment. Daniel and Hall, vying in the Republican primary for the 18th state House seat now occupied by Daniel, exchanged words on NewsTalk 98.7 shortly after 6 p.m. Thursday. When Daniel said at the start of the show that he was the only businessman among the four candidates, Hall exclaimed that Daniel was a liar, noting he had been in business himself. 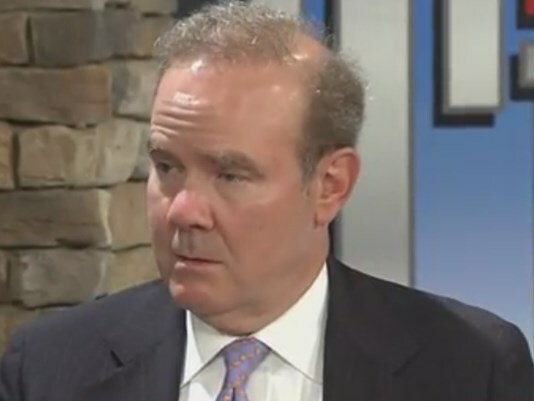 Hall repeated the accusation, the station's recording shows. "Don't be calling me a liar, Mr. Hall. I'm telling you. Don't be calling me a liar," said Daniel, who also is a lawyer. According to host Hallerin Hilton Hill, Daniel then went over to where Hall, a former city councilman as well as legislator, was sitting in the station studio. When Hall stood up, Daniel then shoved him, Hill told listeners. Read the entire story, which includes more statements from the candidates, RIGHT HERE. 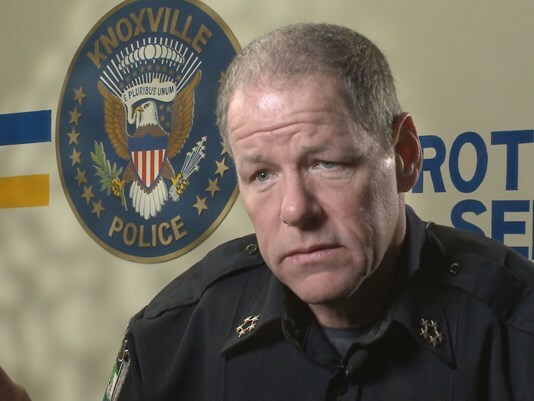 The Knoxville Police Department has seen an outpouring of community support following the slayings of officers in Louisiana Sunday and Texas earlier this month. KPD employees say they consider the officers killed in the attacks in Baton Rouge and Dallas as part of their larger law enforcement family. Waving outside the Knoxville Police Department, flags at half-staff serve as a seemingly constant reminder that tensions, unlike these banners, are as high as they can be. 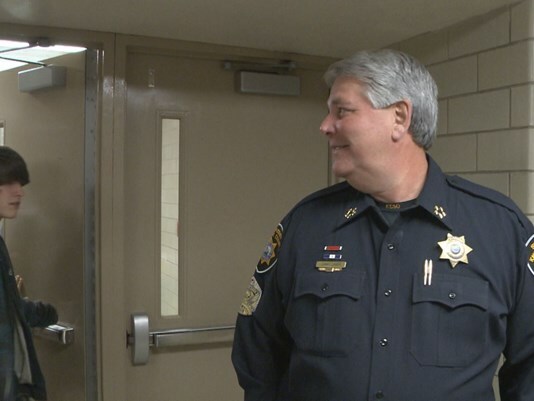 However, that's not stopping David Corbin from applying to the Knoxville police academy. "You're always going to have bad or good people in anything you do, and I feel like sometimes the bad gets focused on quite a bit," Corbin said Monday afternoon, before his interview for the academy. "I try not to let it hinder me too much, because no matter what is going on, I'll be - to my best ability - the good." 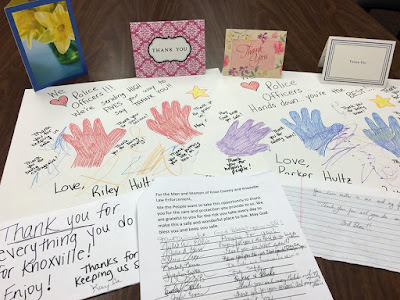 The good can be found in the many gestures of thanks from community members to KPD in the wake of the recent killings of law enforcement officers. In the past week, the Knoxville Police Department has received cards, baked goods and flowers from community members wishing to say thanks and express their support for local law enforcement. "Showing us that they really support us has really made a lot of difference here," Lt. Susan Coker said. She shared an experience she had last week, when she was at a store in uniform and a woman approached her. "She asked me if she could hug me, and, of course, I said, 'Sure,' because I was excited that someone cared enough," Coker said, with a smile on her face. The Tennessee Association of Chiefs of Police is asking all law enforcement officers in the state to "shroud" their badge this week. That means putting a black elastic band over the center of the badge as a sign of mourning. The Knox County E-911 Board of Directors is set Tuesday morning to vote in a special meeting on a multimillion-dollar contract with Motorola Solutions for a new radio system. The meeting is set for 10 a.m. in the multi-purpose room at 605 Bernard Ave.
Board members have pondered for more than a year acquiring a new system, with an estimated cost of more than $8 million. Harris Communications won a bid for the contract, but the board declined to sign off on it. Some members, led by Sheriff Jimmy "J.J." Jones, said they preferred to stick with Motorola, with whom the communications district has worked for years. Responders use the 25-year-old radio system to talk to each other. Knox County's is considered old, with parts often hard to replace. In addition, the area E-911 Center is preparing to join the Tennessee Valley Regional Communications System. 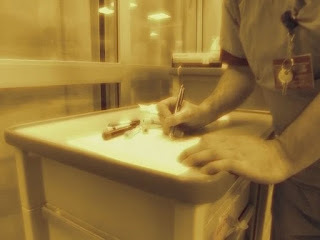 Joining the existing system would serve as an alternative to running its own system. Jones argues joining the existing regional system will save taxpayers money. The regional communications system, launched in 2010, is based in Chattanooga. It serves a number of emergency providers including the Blount County Sheriff's Office and those in North Georgia. Thank you to all of you who have called, sent letters, emails, messages, personal contact and dropped off food in support of the women and men of the Knoxville Police Department. The outpouring of support has been tremendous and humbling. We strive every day to assure that we provide fair, equal, and Constitutional policing for our community. The sanctity of life is our primary focus. We attempt to be engaged from the officer on the street to the Chief’s Office with all in our neighborhoods. 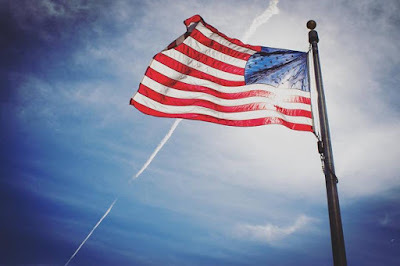 These efforts are to assure that tragic events that have happened over the past week in Baton Rouge, Louisiana, Falcon Heights, Minnesota, Johnson City, Tennessee, and Dallas, Texas do not happen here. We have had a number of calls wanting to hold events for our employees at KPD at various locations throughout the city. We really do appreciate this show of support and desire to show our officers you are there for them. The challenge of having events is that it pulls officers away from their duties when they are on the job and away from their families when they are at home. We have found the best way to show officers how you feel is to tell them publicly when you see them. Others like our Chaplains Corps and the Cookie Crusaders have provided goody bags to the officers as they are leaving their roll calls. 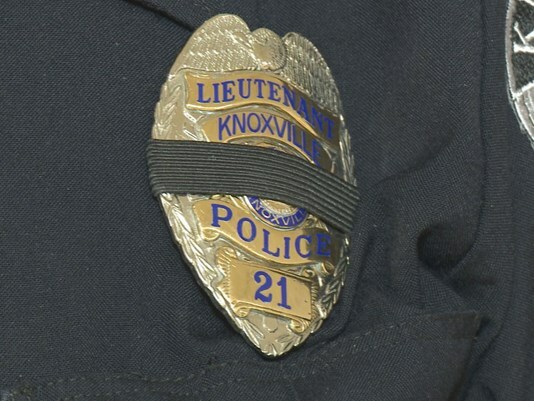 These are challenging times and those of us in law enforcement service in the City of Knoxville remain committed to assuring the safety of all in our community. Thank you again to all of you who have been so very kind and considerate of those in blue serving you. 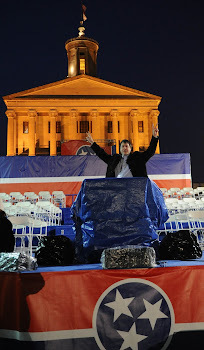 Knox County Republicans are invited to join in a pre-election rally on Monday. The event, which starts at 5 p.m., will include a number of officeholders and candidates running in the Aug. 4 election. The Knox County Republican Party and the West Knox Republican Club are partnering in this combined “Get Out The Vote” rally, and the club’s annual cake auction fundraiser, according to a release. The event will include free hamburgers, hot dogs, and "all the fixin’s at our indoor picnic" at Rothchild’s Catering and Conference Center. Those who attend also can participate in the bidding for cakes provided by candidates and elected officials. The Knox County Democratic Party will hold a rally for the Aug. 4 county general election next Thursday evening. Early voting then starts the following day, July 15. The rally takes place at 5:30 p.m. at the party headquarters at 311 Morgan St. in the Old City. More information on the candidates can be found RIGHT HERE. 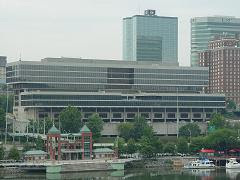 The League of Women Voters of Knoxville/Knox County will co-sponsor a number of forums for Knox County commission and state House candidates participating in the Aug. 4 general election. The first one kicks off Saturday from 3-5 p.m. at the YWCA on Cruze Street with the District 1 and District 8 candidates. Confirmed candidates attending: Michael Covington, Tyrone LaMar Fine, Dave Wright and Donald Wiser. The next forum is set for July 12 from 6:30-7:30 p.m. at the East Tennessee History Center on Gay Street and will feature the candidates in the contested Republican primary race for the 18th District state House seat. The third forum is set for 7 p.m. July 18 at the Emporium on Gay Street. It will feature commission districts 4, 5 and 6. Confirmed candidates attending: Hugh Nystrom, Marleen Kay Davis, John Schoonmaker, Sheri Ridgeway, Brad Anders and Donna Lucas. Today is the last day to register to vote for the Aug. 4 Knox County general election and the state and federal primaries. Right now, residents cannot register to vote online. However, they can beginning next year on July 1., said Knox County Elections Administrator Cliff Rodgers. Early voting for the Aug. 4 election runs from July 15-30. Anyone with questions can call (865)215-2480 or visit Knox County’s election website.